Millions of children suffer abuse in the U.S. each year, and some of them die as a result. Child abuse is a reprehensible act, but sometimes, defendants are wrongfully accused or the facts of the case are misinterpreted. 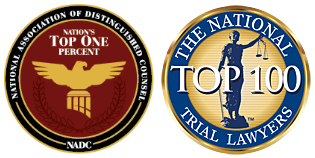 Child abuse lawyers serving Denver, CO urge defendants to get the legal help they need. It’s not unheard of for investigators and prosecutors to use unethical tactics to convince a defendant to give a confession. Before saying anything, suspects need legal guidance from a felony attorney. A misdemeanor child abuse conviction can result in up to one year in jail if the offender was found to have acted with criminal negligence. If reckless or intentional actions were taken, convicted offenders face three to 18 months and a fine. 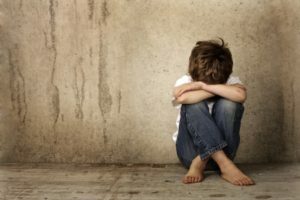 In addition, offenders who would otherwise be charged with a misdemeanor may require the services of a felony attorney if they have a prior conviction for child abuse. A misdemeanor can also become a felony if the offender is in a position of trust of the child and commits a harmful act or pattern of actions. If the child sustained serious bodily injury due to criminal negligence, it is a class four felony. This is punishable by two to eight years behind bars and a fine of $2,000 to $500,000. If the convicted offender acted knowingly or recklessly, it’s a class three felony. The legal penalties include four to 16 years in prison and a fine of $3,000 to $750,000. An abusive act that results in the child’s death is a class three felony if the act was based on criminal negligence. Knowingly or intentionally committing child abuse that results in a child’s death is a class two felony. The consequences are eight to 24 years behind bars, and a fine of up to $1 million. Sometimes, child abuse lawyers defend clients who face life imprisonment or the death penalty for a first-degree murder charge. This charge is used for offenders who knowingly caused the death of a child under age 12, and who were in a position of trust.